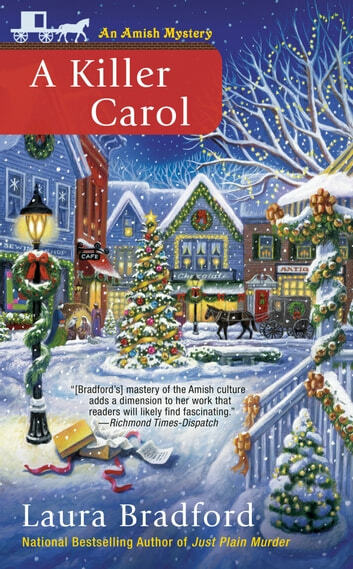 Heavenly, PA has been transformed into a Christmas wonderland, and Claire is delighted to celebrate the season...but a fiendish killer has other plans in this all-new installment in the national bestselling series. As the owner of Heavenly Treasures, the local gift shop, Claire is busier than ever helping her English customers (and even a few of her Amish friends, like Esther and Ben) find the perfect gift for the special people on their shopping list. Claire makes sure she has time for her boyfriend, Detective Jakob Fisher. But the man, who was raised and then shunned by the Amish over his choice of career, has been unusually secretive lately. She tries not to worry, to trust their relationship, but trying and doing aren't exactly matching up. Before she can figure out what's going on with Jakob, word comes that Ruth and Samuel Yoder are being questioned in the death of an elderly Amish couple, found murdered not long after the newlyweds were seen leaving the victims' farm. Ruth, in turn, seeks Claire's help in convincing the police that she and Samuel had nothing to do with what happened. But when Claire comes across a cryptic note tucked inside the wedding gift the victims had given the newlyweds no more than an hour before their murder, she finds herself in dire need of a little convincing as well. Can Claire get to the bottom of things in time to ensure a merry Christmas for all?